At the beginning, I was very ambitious with my feeding of Lucille. I pureed a lot of things for her and she loved it. As we've gotten into finger foods, she seems to love those even more and since I seem to have less and less time to puree, that is a good thing. I've been more adventurous lately, giving her big pieces of uncooked apple to chew on, etc. I just read a great post over at A Cup of Jo - and it is really encouraging to read and get good, easy ideas about feeding babies. I immediately ordered the book she talks about, Real Food for Mother and Baby. Lucille loves to be able to do things herself so this self feeding is a big deal. Especially as we prep for baby #2. I'm anxious to try some of the items mentioned like dried fruit, orange wedges, green peppers and broccoli. I get the whole choking worry, but really babies do seem to have AMAZING gag reflexes and I've seen Lucille spit something out that was too big or that she could manage, so we just watch her and let her chow down. I'm looking forward to being even more relaxed the second time around. 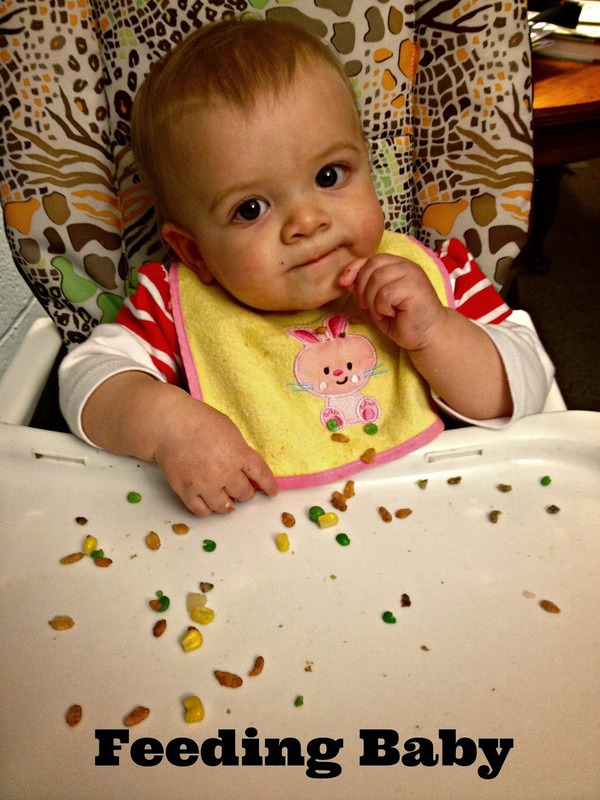 Any readers want to share their babies favorite foods? I'd love to hear.